On the foggy morning of Saturday, July 28, 1945, Lt. Col. William Smith was piloting a U.S. Army B-25 bomber through New York City. He was on his way to Newark Airport to pick up his commanding officer, but for some reason he showed up over LaGuardia Airport and asked for a weather report. Because of the poor visibility the LaGuardia tower wanted to him to land, but Smith requested and received permission from the military to continue on to Newark. The last transmission from the LaGuardia tower to the plane was a foreboding warning: "From where I'm sitting, I can't see the top of the Empire State Building." Confronted with dense fog, Smith dropped the bomber low to regain visibility, where he found himself in the middle of Manhattan, surrounded by skyscrapers. At first, the bomber was headed directly for the New York Central Building but at the last minute, Smith was able to bank west and miss it. Unfortunately, this put him in line for another skyscraper. 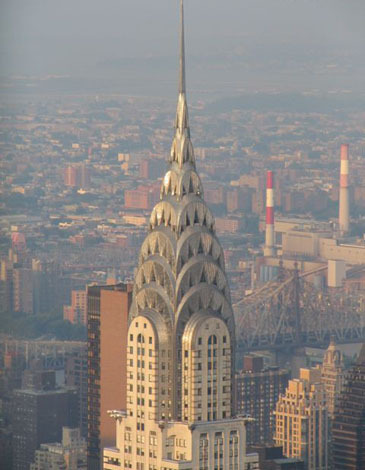 Smith managed to miss several skyscrapers until he was headed for the Empire State Building. At the last minute, Smith tried to get the bomber to climb and twist away, but it was too late. 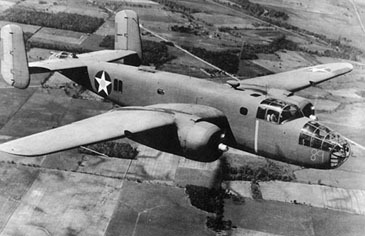 At 9:49 a.m., the10-ton, B-25 bomber smashed into the north side of the Empire State Building. 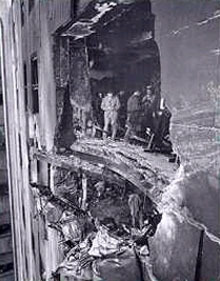 The majority of the plane hit the 79th floor, creating a hole in the building eighteen feet wide and twenty feet high. The plane's high-octane fuel exploded, hurtling flames down the side of the building and inside through hallways and stairwells all the way down to the 75th floor. The plane exploded within the building. There were five or six seconds — I was tottering on my feet trying to keep my balance — and three-quarters of the office was instantaneously consumed in this sheet of flame. One man was standing inside the flame. I could see him. It was a co-worker, Joe Fountain. His whole body was on fire. I kept calling to him, "Come on, Joe; come on, Joe. "He walked out of it too." One of the engines and part of the landing gear hurtled across the 79th floor, through wall partitions and two fire walls, and out the south wall's windows to fall onto a twelve-story building across 33rd Street. The other engine flew into an elevator shaft and landed on an elevator car. The car began to plummet, slowed somewhat by emergency safety devices. Miraculously, when help arrived at the remains of the elevator car in the basement, the two women inside the car were still alive. The plane crash killed 14 people (11 office workers and the three crewmen) plus injured 26 others. Though the integrity of the Empire State Building was not affected by the hole left by a B-25 Bomber on July 28th, 1945. The cost of the damage done by the crash was $1 million.